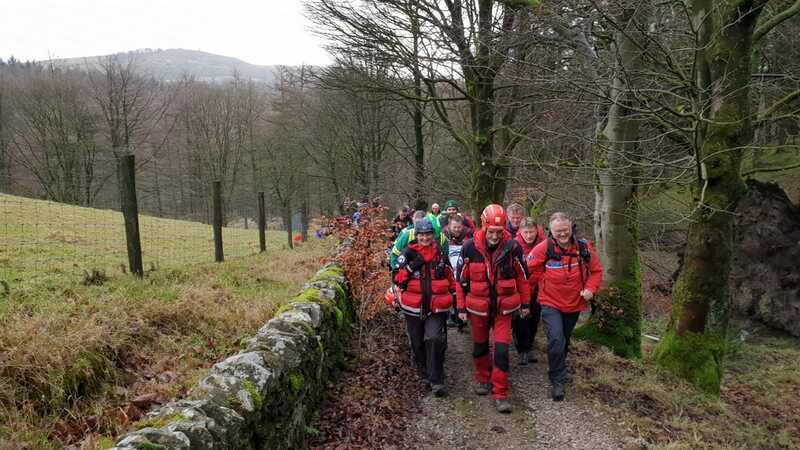 The team was called out to a 62 year old female who was out walking with friends in Macclesfield Forest when she slipped whilst descending a path, sustaining an ankle injury. 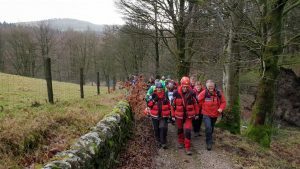 The team was assisted by members of the NWAS HART team, who helped carry the casualty on a mountain rescue stretcher, for a short distance up the track to a waiting NWAS ambulance at the roadside. The NWAS HART team (Hazardous Area Response Team) are specially trained and equipped personnel tasked to take on work in tougher than normal situations. Thank you so much for helping me that day. I sustained a double fracture to my left ankle and have had it operated on. Every person involved in rescuing me were professional and amazing. I am so grateful that I/we could call on such a wonderful service. You were well equipped to deal with my difficult situation and I felt safe and secure every step of the way.